This is a magnificent cake. I hear Almond cakes come from Spain. You may find one there in every pastry shop. Tempting and inviting you to just have a bite. This Almond cake has a bit of a twist. A berry-licious twist. It has a firm but moist crust which comes from almonds with a kick of orange juice just for that zing. The Berries, of course a combination of cranberries and blueberries is uncommon, but it does wonders in enhancing the flavors of this cake. 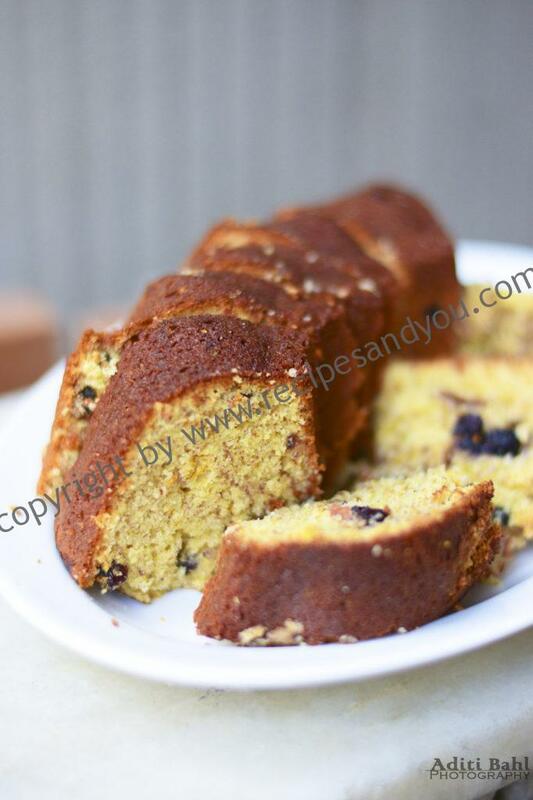 The soft sourness from blueberries beautifully balances the sweetness of the cake. Almonds, berries, juices, eggs, milk. What more could one ask for from a cake .My kids tiffin options are sorted and the sweet tooth cravings are satisfied. 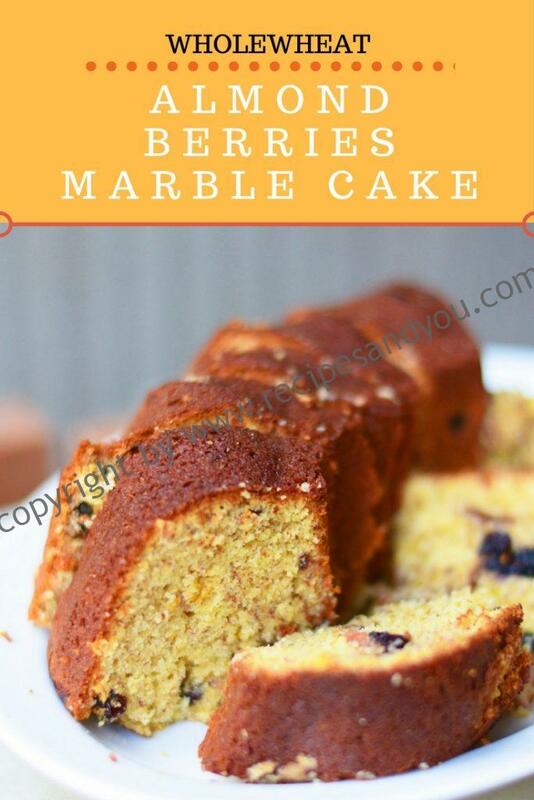 A delicious,rich,moist and wholesome cake made from Almonds and berries.The orange /kinu juice adding just a little zing just compliments its flavors. Steps: Preheat the oven @200 degrees Celsius. Grease a bundt pan and keep aside. Cream the butter and sugar.Add 3 eggs,one at a time and beat till well incorporated. Add vanilla essence and kinu juice and beat again to mix well. Now, Sieve together all the dry ingredients together: flour,baking powder,sugar,ground almond/almond flour and milk powder. Take 1 tsp flour from the this and coat your mixed dry berries.This ensures that the berries do not sink at the bottom while baking.Keep the berries aside. Now, add the flour mix to the egg and milk mixture gradually and mix gently till well incorporated. Now,add the berries and mix gently. Pour this mixture into your greased Bundt pan. To create marble swirls: Mix 2 tbsp cocoa powder with 1 tbsp milk and mix well.Pour strings of this mix with a spoon on the top of the cake.Mix these strings with a toothpick or stick roughly in one direction to make swirls. Put this into the oven and reduce the temperature to 180 degrees Celsius for 40 minutes or till done.The time differs oven to oven so please follow as per yours and check in between to avoid over cooking. Coat the berries with a little flour to avoid sinking at the bottom. This sounds delicious. Its great to find recipes that call for dried apricots. I always buy a bag for one thing and then the rest seemed to turn into rocks in the pantry. Yummy! This looks so delicious! I love bundt cakes and this almond blueberry version looks fabulous! Moist and yummy and I can’t wait to try it! Thanks Elaine. Hope you try soon. I love this! I like that crust you developed and the berries are my favorite kind of cake. Can’t wait to give this a try. This cake looks so tasty! 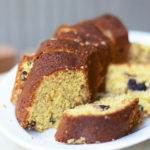 Do you use fresh blueberries and dried cranberries in the cake? Thanks .Am glad you liked. No i use dried berries. I love baking with almond flour! I’ve never used both wheat flour and almond flour together but it looks like it results in such a great texture! This cake looks so delicious! Thanks dominique. 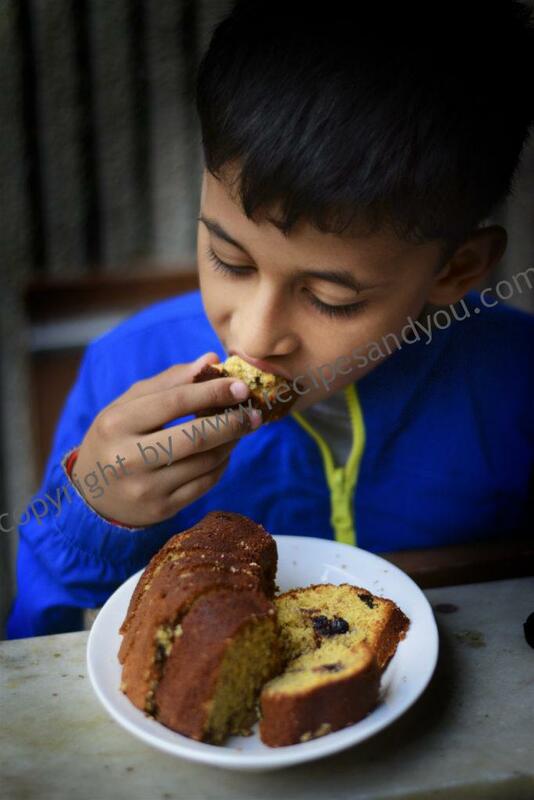 Its indeed the most scrumptious cake i have baked. Try and share you views. I love easy, rustic cakes that don’t require a lot of fuss….or frosting. This is the perfect dessert….but I would eat it for breakfast too. Thanks gloria. Yes its a wonderful breakfast option. I love this kind of baking, simple yet so delicious and flavorful. Almond flour gives an amazing texture! I love baking with berries! This looks a great fall recipe. Fruit and nuts go so well together – what a fun combination for a cake! When I’m traveling internationally, I always get a pastry from a coffee or pasty shop. It’s one of my favorite things to do! Now, I can have a little bit of this experience at my own house! how special!! Thanks for posting the recipe! Looks delicious! I’ve never tried baking with almond flour so looking forward to trying it! thanks kathryn. I hope you try it soon and like it. 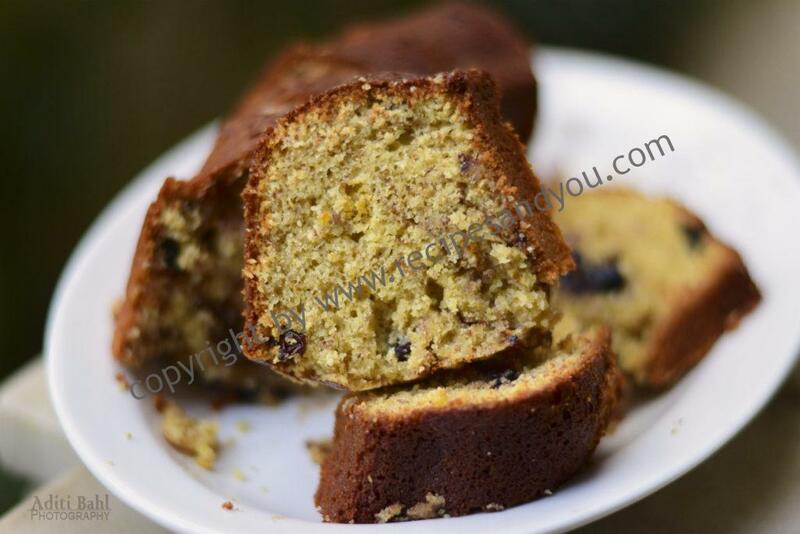 I love almonds:) Can’t wait to try this cake, it looks to have with tea. Thanks for sharing!